Charlotte, N.C., Feb. 14, 2014– Acclaimed Charlotte-based commercial developers Crosland Southeast and Childress Klein Properties announced that they have signed a lease agreement with Whole Foods Market for Waverly, their proposed multi-use pedestrian friendly master planned development at Providence and Ardrey Kell Roads in South Charlotte. The newest Charlotte store for the natural and organic foods supermarket will occupy approximately 40,000 square feet of retail space and is slated to open in late 2016. This will be the third Whole Foods Market in the Charlotte area. Whole Foods Market’s presence in Charlotte includes SouthPark, and another store opening later this year in Huntersville. The retailer also has nine other stores across North Carolina. Each Whole Foods Market has an in-store Community Manager who works on becoming part of the neighborhood through outreach efforts. The Crosland Southeast/Childress Klein team is taking Waverly through the rezoning process and will have a public hearing before the Charlotte City Council on March 17. The team’s vision, in conjunction with the Matthews family, of the multi-use development would be to bring long term value to the surrounding community by bringing best in class tenants to the development and create a vibrant gathering place. Peter Pappas of Crosland Southeast and David Haggart of Childress Klein Properties negotiated on behalf of the development. Representing Whole Foods Market was Bill Moseley of Moseley Real Estate Advisors. The development will also offer approximately 375 upscale apartments called Solis Waverly on 18 acres, built by Terwilliger Pappas Multifamily Partners. David Weekley Homes will build approximately 150 single-family and town homes over 18 acres for residents who wish to purchase a home in a walkable community. The project is anticipated to be built over the next couple years after rezoning approval. Neighbors will be able to stay up to date about the development at www.waverlyclt.com. multi-million square foot distribution parks, from small, freestanding retail buildings to large, multi-phase lifestyle centers and from conveniently located suburban office buildings to 1 million+ square-foot, high-rise urban office towers. With a portfolio in excess of 23 million square feet and more than $1 billion in assets, Childress Klein Properties has the resources to undertake any size project. For more information, please visit www.childressklein.com. Whole Foods Market features a fresh and enticing selection of natural foods in their purest state, free of artificial flavors, colors, sweeteners, and preservatives as well as hydrogenated fats. 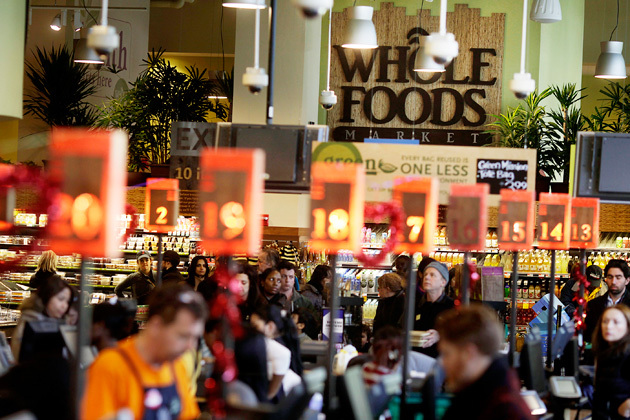 Whole Foods Market offers shoppers the highest quality, best-tasting and freshest foods in an inviting setting. Each store is unique and is designed to meet the needs of the neighborhoods they serve. Combine the great-tasting food with outstanding customer service and the result is a pleasantly atypical grocery shopping experience.